It is law that all children attend school. Research shows that students who attend school regularly and arrive on time achieve more than their peers who are absent or late. It is very important that students be in school every day for the full instructional day. Schools across the nation are now monitoring attendance differently. Traditionally, we've monitored for truancy. Truancy monitoring only keeps track of unexcused absences. With the start of the 2017-2018 school year, we began to also track students who are chronically absent. 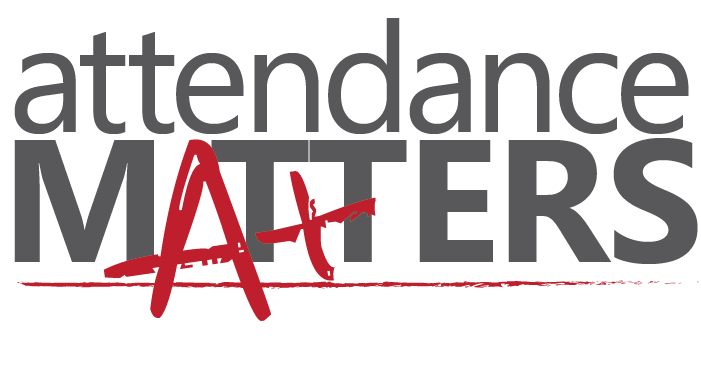 Chronic absentee monitoring looks at the whole attendance picture. Every instance that a student is not is school is accounted for, including early dismissals and tardies. 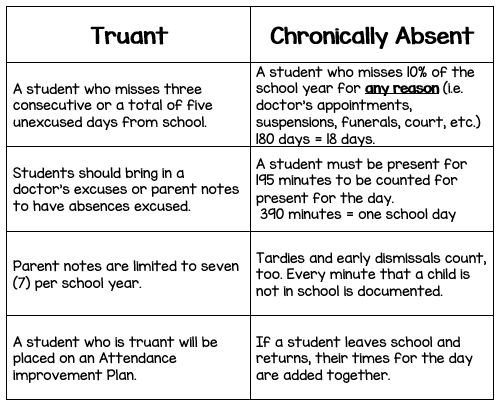 The chart below explains the difference between being truant and chronically absent.